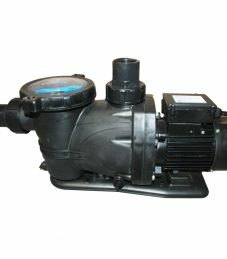 The AquaGuard above ground pool pump is designed to meet the demands of any above ground pool. 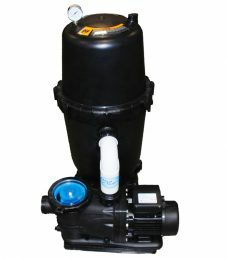 This pump features the TEFC motor design which offers unmatched quiet performance, extended motor life & outstanding flow to keep your pool clean for many seasons. 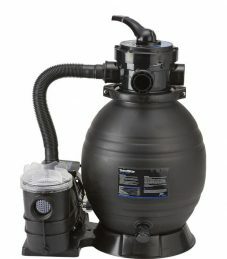 The AquaGuard Cartridge Filter System gives you the performance you need and crystal clear water you are sure to enjoy. 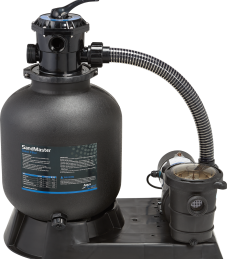 With its corrosion free construction and superior hydraulic performance this system delivers a total solution for any above ground pool. Crystal Clear Water with Little Effort! 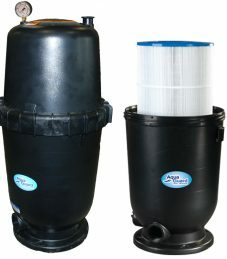 Our ECO series of highly effective Cartridge filters will clean your pool down to 20 microns. The compact design, along with maximum filtering capability, will reduce maintenance time and make your equipment pad look sharp! AquaGuard’s advantage is our superior design – maximum hydraulic flow working in unison with the filter element for efficient performance. 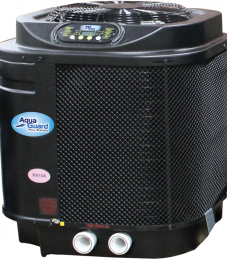 Consistently heat your pool and extend your swimming season with our full line of heat pumps! The most efficient way to heat your pool or spa! 100% pure, commercial-grade titanium heat exchanger, innovative silent series product design. 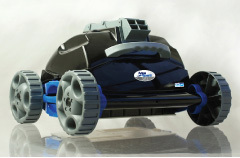 Small footprint is ideal for above ground pools!